As a harried mother of three busy children aged 6, 12 and 14, I don’t get much time to watch television. There is one show, though, that I’ll record in order to watch later. “The Middle” is a light-hearted sitcom about a dysfunctional family (the Hecks), living in the Midwest in the fictitious town of Orson, in “the middle of nowhere.” In a recent episode, the family of five uses a Groupon to get a discount at the local “Escape Orson” escape room attraction. While they barely escape before the game clock runs out, the Hecks do manage to learn a few personal secrets about each other and, in their own slightly unhealthy (yet endearing) way, they bond. Little did I know what a huge, hot trend this phenomenon has, in reality, become! What started out several years ago as a simple phone app with mystery-solving games has evolved into a business model that now includes store-front establishments located literally all over the globe. The premise of an escape room is essentially this: Your team has 60 minutes to locate and decipher numerous clues hidden within a themed room and among theme-related props. You must piece together the puzzles, solve the mystery, and escape the room before the clock runs out of time. The facilitator/employee outside of your room is able to see and hear you, and is able to give helpful clues, should you get stuck. I recently found a coupon of my own to an escape attraction right here in Biloxi. We packed up all three (very bored) kids and drove to Escape This Biloxi, which offers three themed escape rooms to choose from: the “Insane Asylum,” the “Supernatural,” and the “Murder Mystery Office,” the one we chose. 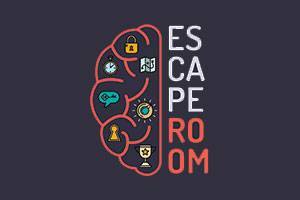 According to owner Lori Beauchamp, the best part of experiencing an escape room is the team-building that evolves from working together toward a common goal. Not only do individuals and families benefit, but so do large corporations, employees from small businesses, and even military groups. “You have to learn how to communicate better, as well as work as a team and not as an individual,” she said. So … what did WE learn about our own (mostly functional) family during our hour-long experience? For one, we already knew my law-enforcement background husband would perform superbly when it came to handling evidence, interpreting descriptions of suspects, and determining motives. But he also got to use his Sudoku-solving skills, which was cool. We already knew our teenage daughter has the most amazing and complete memory, and that she has the knack for noticing the smallest details. What we were surprised by, however, was her understanding of the criminal mind and ability to think through each suspect’s background and contemplate how a suspect might have felt or acted in the given circumstances. Our middle schooler son, on the other hand, is a mathematician at heart and lover of numbers and puzzles. He loved the progression that one clue led to another. Furthermore, he’s our rule-follower, and least of our three kids to require much discipline. We learned he’s actually not afraid to take risks and not embarrassed about being a tad “freaky” when the situation calls for a daring move. Our first-grader had no idea what the clues meant. She simply “felt like a detective” as she seriously took on the responsibility of assisting us when asked to “hold this for me,” or “get us that item over there.” I had no idea it would work out so well for her and that she’d actually be able to keep up with her older siblings. She felt big, and she felt included and important and vital to our mission. At the end of our hour (and with two minutes, eight seconds left on our clock), we not only successfully “escaped,” but also discovered we had a Sudoku genius, a criminal psychologist, a freaky risk-taker, and a brave and helpful princess in our midst. Throughout the process, I kept everyone focused and on task. I realized that it will always be my job, no matter the circumstances, to act as cheerleader, organizer, translator and family manager. I am what I always have been and always will be: the glue that holds this family together. I am what all moms are: the force behind the group that keeps the whole thing moving forward, all the while making sure each member has clean clothes, a full tummy, and a smiling face. I am, ultimately, the true facilitator of this little team of detectives. I was, after all, the one who found the coupon in the first place! 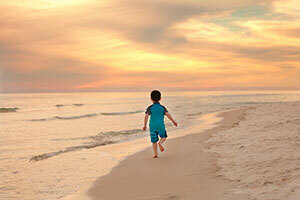 Tracy D. DeStazio is a freelance writer and editor living in Biloxi. She has been married to her high school sweetheart for 23 years and they have three children: one in elementary, one in middle, and one in high school. Her new favorite activity is visiting escape rooms!